A Cabo all inclusive resort gives you a vacation of pampered luxury. Unfortunately with the luxury comes rarity with not many Cabo San Lucas resorts going all inclusive. However they are right on the beach, and allow you stunning views of the Sea Of Cortez. If you like to see a sunrise rather than a sunset then a Sea Of Cortez view is perfect for you. Being situated along the Los Cabos Corridor you have the choice of some nice activities as well as the activities inside the resorts. Cabo San Lucas has horse riding along the Sea Of Cortez, and you're near all the Cabo golf courses. If you like your golf you have the choice of six championship courses in Cabo San Lucas. Three of them have been designed by Jack Nicklaus. 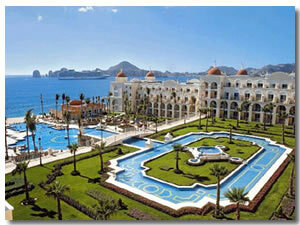 The Riu Palace is a Cabo all inclusive resort situated about 3 km from downtown Cabo San Lucas. Size wise it really is a palace with over 600 rooms for you to choose from. 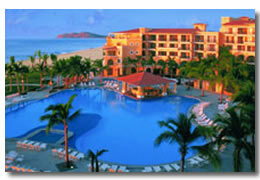 Dreams Resort in Cabo San Lucas is also situated along the Los Cabos Corridor. Views of the Sea Of Cortez are what you wake up to in the morning. If you're a golf fan you are within a few kilometers of the Cabo Real golf course.